After studying abroad in Paris, I fell in love with the concept of experiencing a foreign country by living like a local. Seeing Paris through Hemingway's eyes while studying A Memorable Feast and wandering around the streets seeing the places he described in the 1920s through the lens of today brought about a whole new perspective of the city for me. Our teacher encouraged us to explore as flâneries, wandering and strolling along the curved unending continuation of side streets, some cobblestoned and some paved. Taking in the street performer singing "La Vie En Rose" next to the Luxembourg gardens, the soft chatting of french words I wished I understood, and the sight of locals lounging around on the grass slowly sipping on wine, the city constantly beckons to be observed and explored. The café scene in Paris is indeed a popular one. It is the meeting space, the hub of conversation, and a central location for the people-watching culture of Paris. Since homes in Paris are often small, they are not often used for social gatherings. 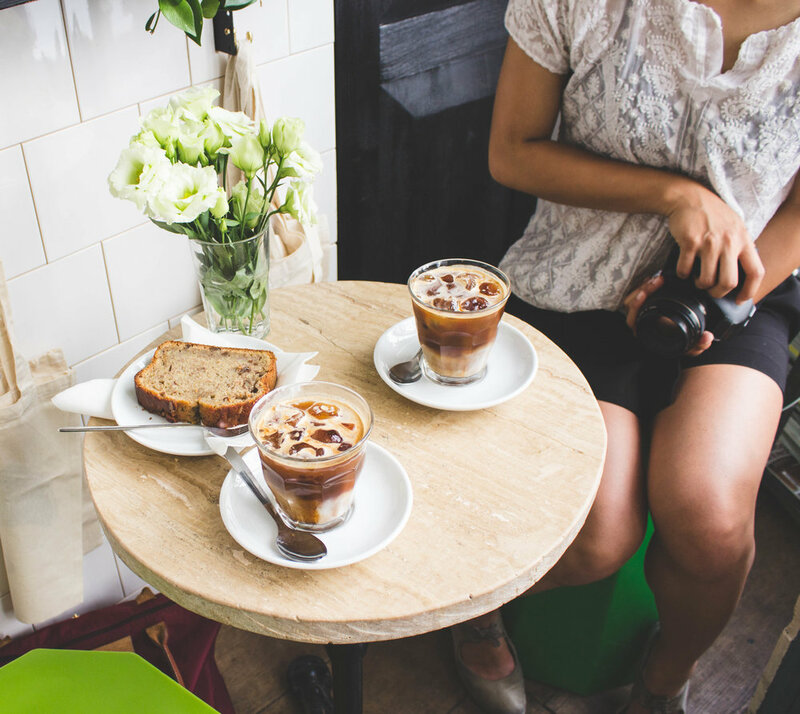 Instead, cafés are on the rise as a popular meeting spot. 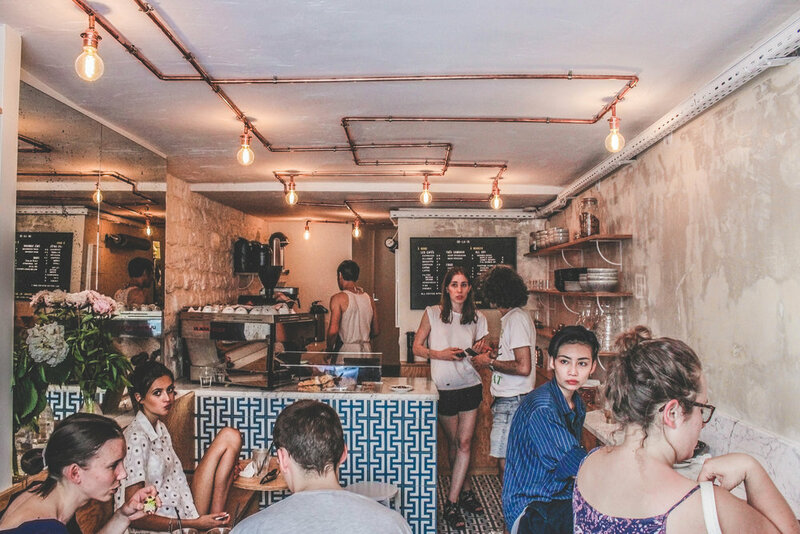 Boot Café is a bright blue shoebox sized café labeled “cordonnerie” (translating to “shoe repair”) in the third arrondissement of Paris. The café is cute in size as well as décor. Since the location of this little hole in the wall café was formerly owned by a cobbler, the shoe theme has made its way into the café, with little boots appearing here and there. The shop contains cheerful brightly colored chairs both inside and outside, with either tables or hipster wooden windowsill ledges to hold your coffee and pastry. The white tiled walls are covered with eclectic collages, plants, and vinyl records one may purchase. 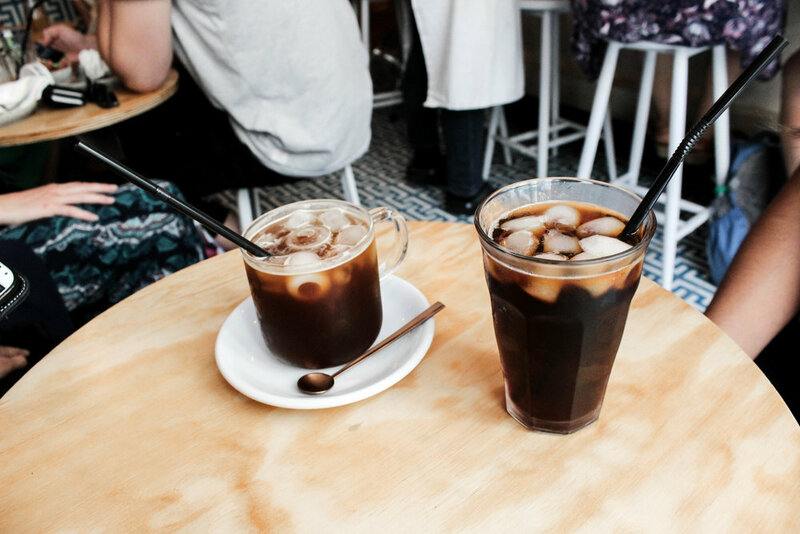 My personal favorite is the café glace, or “iced coffee”, which is made extremely well. 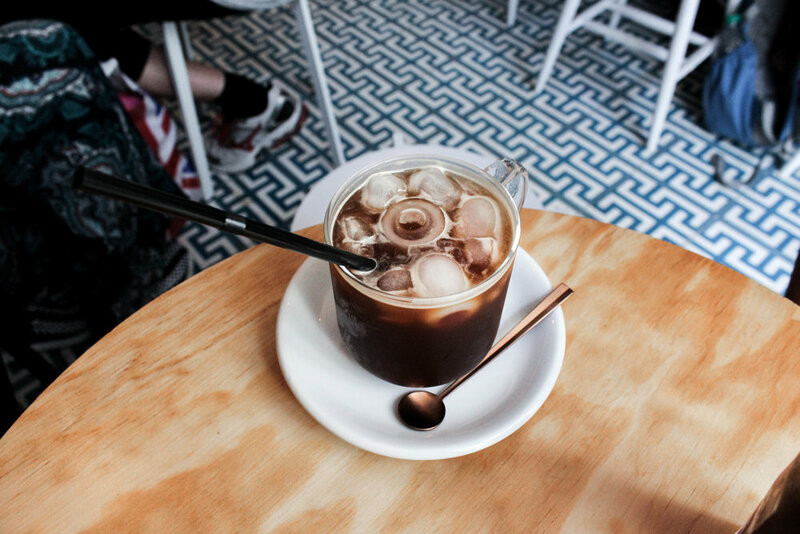 Iced coffee is not easily or commonly found on cafe menus, so mark this spot down! Let it be your deliciously refreshing treat on those hot Parisian summer days. 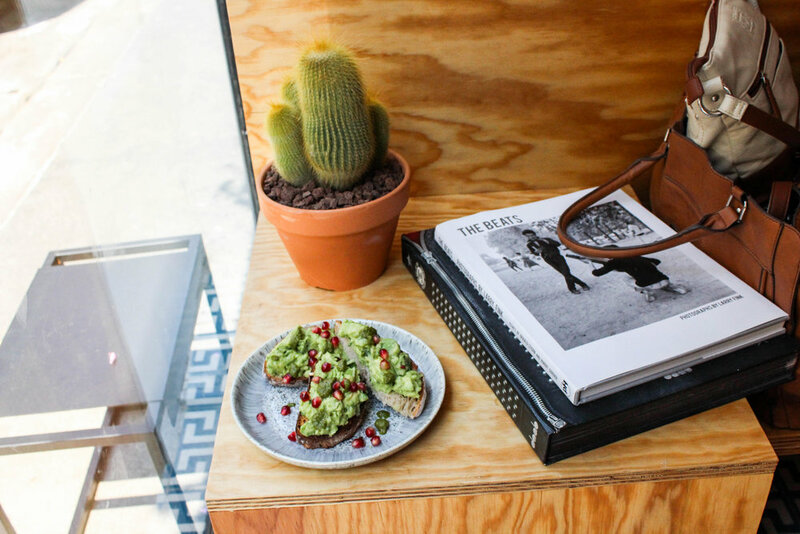 This aesthetic cafe is tucked away in Le Marais and marked by its cute bright blue patterned floor, it's chimichurri avocado toast sprinkled with pomegranate seeds, and delicious coffee. When we came by Ob-La-Di, our Barista (by the name of Lloyd) was a handsome Australian man who apparently traveled the world making coffee. What a lifestyle! He was always so fun to banter with and it made our multiple trips back (and trust me we went back a lot) so enjoyable. This was one of my favorite spots to sit down, sip on my café glace, and read or journal at. Technically not in Paris, but it's not too far out and away! There was so much green there I wanted to die of joy. 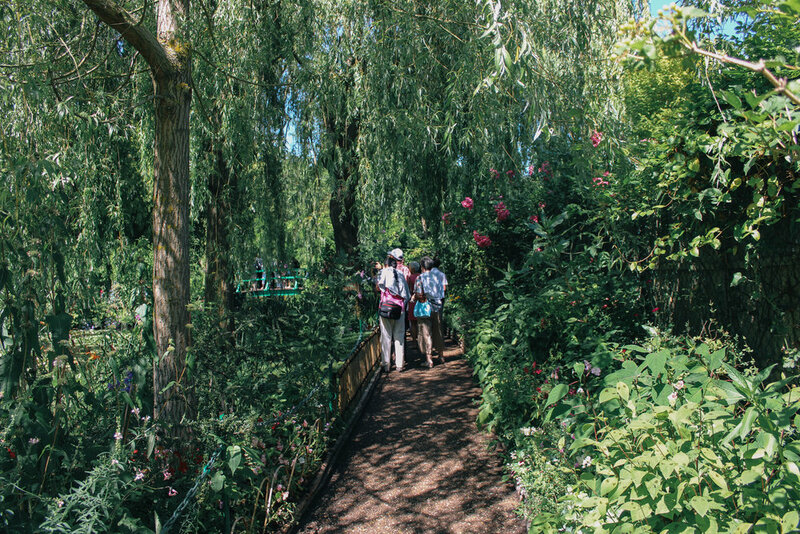 Having been in the hustle and bustle of Paris for so long, walking into the lush greenery that filled Monet’s home in Giverny felt so refreshing. 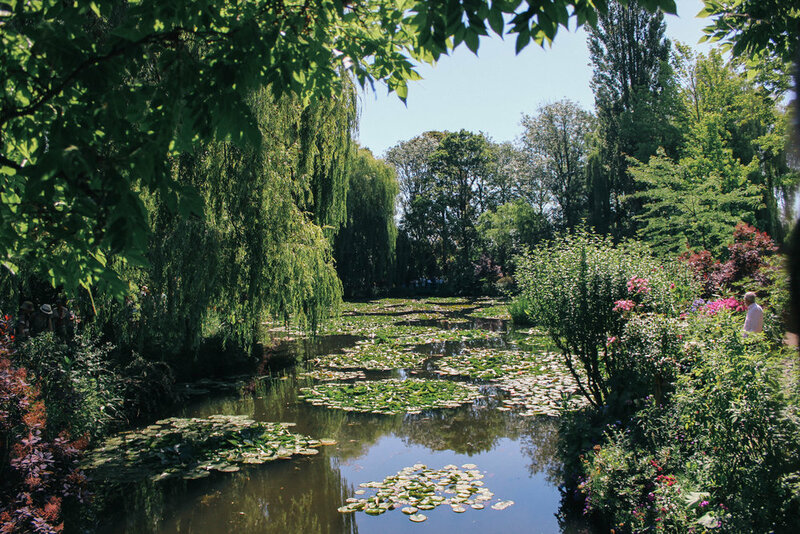 I had been anticipating this day trip to Giverny ever since I visited the Musee L’Orangerie and fell in love with Monet’s Water Lilies, his infamous painting of the water lilies in his personal garden (pictured below). I couldn’t believe I was standing on the bridge, overlooking the very sight that inspired such a captivating piece of artwork. 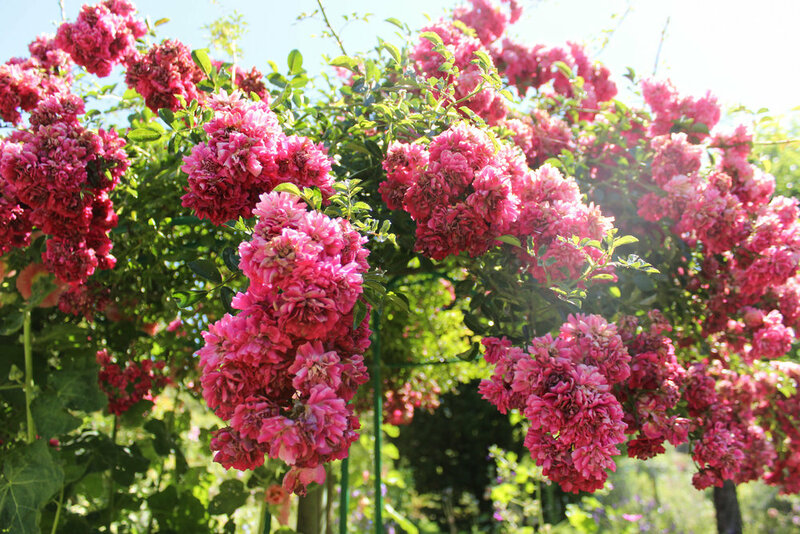 The garden is calm and one of the most serene and luscious gardens I've ever walked through. 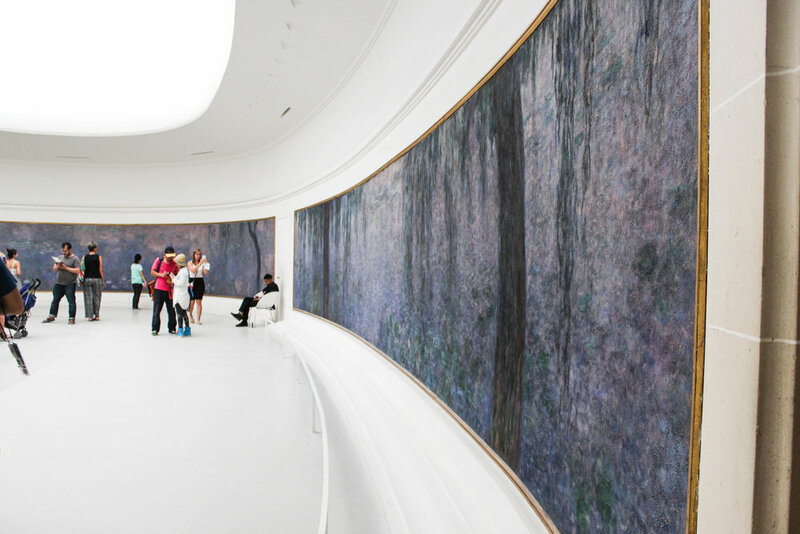 I would honestly go back to Musee L'Orangerie just to see Monet's Nymphéas, his infamous water lily paintings inspired by his own garden. There are two oval rooms, each home to four of this series of water lilies. Gorgeous beyond belief. The museum houses many impressionist and post-impressionist paintings and is situated at the corner of the Tuileries Gardens next to the Place de la Concorde. Musee D'Orsay used to be an old railway station and is now one of the largest art museums in Europe. 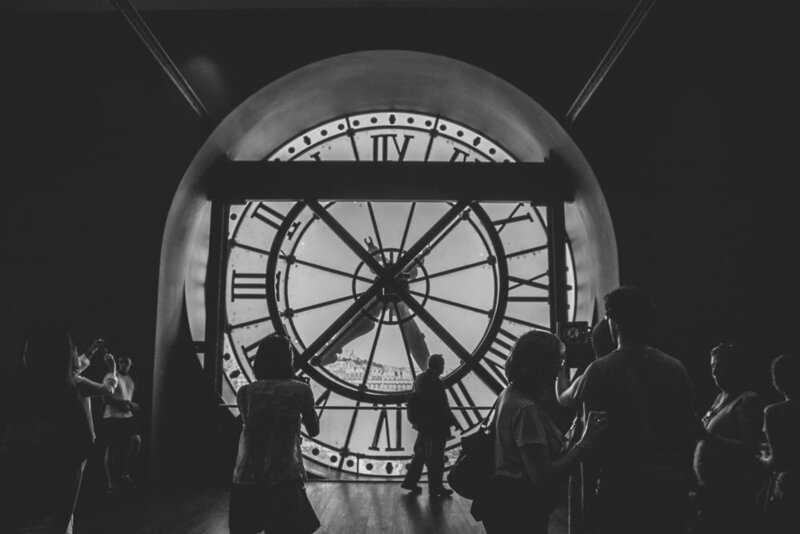 Full of sculptures and paintings by famous artists such as Degas, Monet, Cézanne, Van Gough, and more, feel free to take your sweet time and pretend to be an art connoisseur as you walk by each masterpiece. 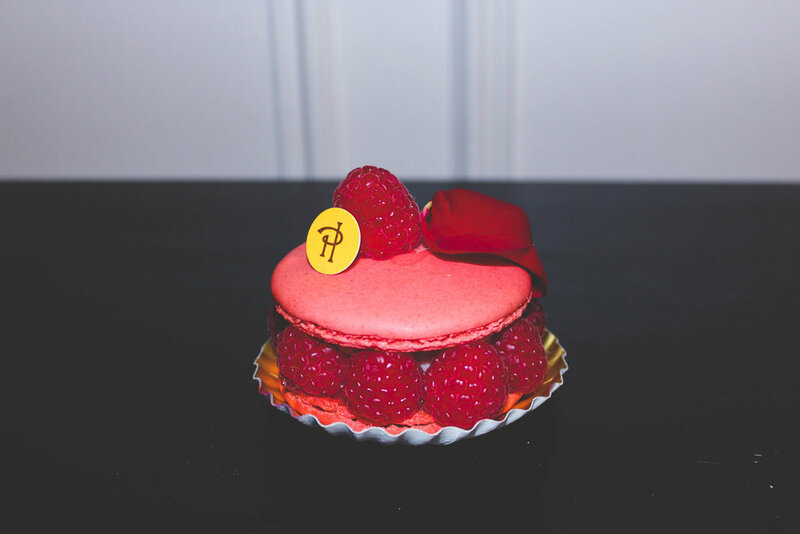 While in Paris, there was no way I was going to stay away from all the amazing pastries. Pierre Herme earned a lot of respect for his sweet masterpieces with truly unique high class flavors including Infiniment Cassis, Infiniment Rose, the two toned Montebello (pistachio & raspberry compote), and so much more. 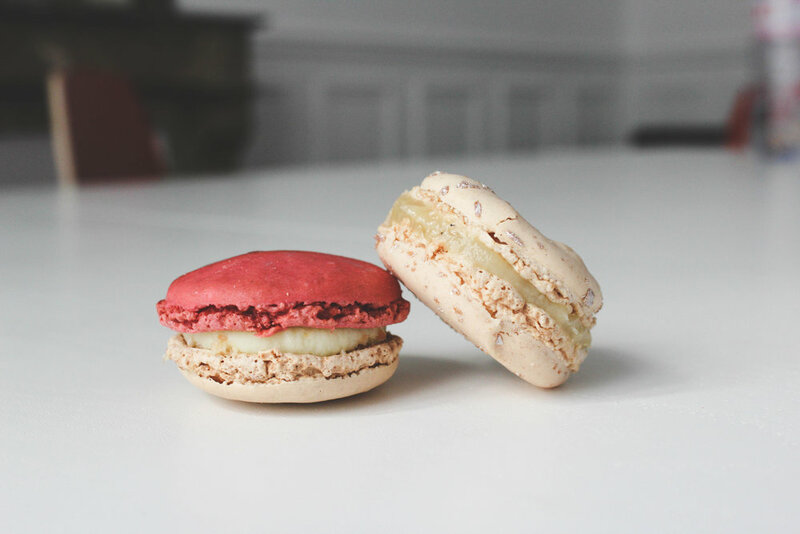 The texture is on point, soft and melts in your mouth just as a macaron should be. If you've got a sweet tooth and an eye for gorgeously aesthetic pastries like me, this place will be like a dream for you. This pastry shop is for those who feel like eating like a local. Maison Gantier was just one block from my apartment in the 16th arrondissement (or district) and super local. But quality of the pastries and baguettes were definitely on point. I learned that pointy baguettes are the way to go here, and the one thing I continuously went back for at this bakery was the strawberry tart. It was melt in your mouth so delicious that it became sort of addicting for me. Highly recommend! Now, if you are looking for some good food at a decently cheap price (cause goodness everything here is pretty expensive), than Bouillon Chartier is a great restaurant option! This place has actually been booming in business for over 100 years and loved by both tourists and locals alike. 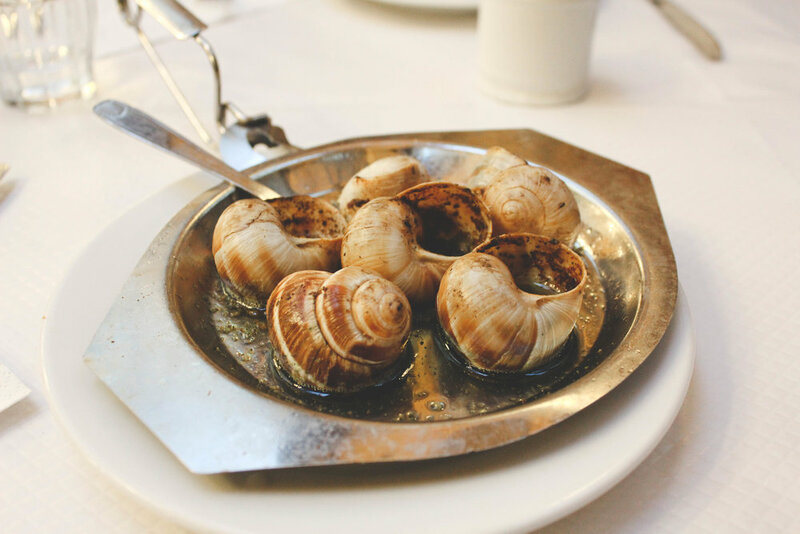 For just around 6 euros, I was able to get a plate of escargot that tasted actually really delicious. The servers were all so friendly when we needed some help with the menu and the food was absolutely delicious. Tip #1: Speak softly. Parisians are soft speakers, so being loud in public is frowned upon. While some of us Americans associate loud laughter and rowdy jokes as fun-loving, try to keep in mind respect for the French people! This is especially true on public transportation. I was surprised to find that the metro rides around the city were often met with silence, or at most low key chatting. Keep your voices low and respectful! Tip #2: Even if you are knowingly mispronouncing French words left and right, try speaking French to the locals! It is polite to learn a few phrases in French. Your French may not be the best, but locals respect and appreciate even the slightest attempt. They more often think it's cute when you mess up and more often than not, they will help you out. Our group found out through mostly personal experience that the French were much kinder to us and service much better when we entered shops and first greeted workers with a "Bonjour Madame" or "Bonjour Monsieur", rather than walking in just expecting everyone to know and understand English. Other key phrases that may come in hand include merci (thank you), au revoir (good bye), s’il vous plait (please) and l’addition s’il vous plait (the bill please). We noticed they were much kinder when we tried! Locals sometimes were often more eager to chat with us too! Tip #3: Take your time eating. Food has deep roots and value in the French culture, and it is definitely a big part of their culture to take their time doing it. When I went out to lunch after class, we literally sat around and lunches sometimes took around 2-3 hours. Coming from the United States, I was used to waiters who were efficient and quick to serve. I was used to having my order taken quickly and my bill to come promptly after my meal was finished. Coming here, I initially was frustrated because it took forever for us to get our food and our bill would just never come, but soon I realized that waiters did not want to rush us, and wished for us to enjoy our time together chatting while eating, so they do not bring over the bill until you initiate asking for it. Enjoy the relaxed lifestyle, the food, and ask for the bill when you are ready to go! Tip#4: Dine out in a small group (2-4 people recommended). Our teacher actually strongly encouraged this in our class. We found that restaurants often were filled with small tables meant for smaller groups, and to ask them to push together tables where they knew your group would be laughing and loud will earn you a dirty look. When we explored the city in small groups, we found that the service we got at restaurants were much better, and it opened us up to be able to chat with locals much more easily. Tip #5: Want some caffeine? When ordering "un café", don't expect your normal 16oz cup of morning American coffee, but what'll you'll be getting is a nice shot of espresso. It's very commonly ordered and it's what the Parisians drink! The closest you are probably going to get to your normal drip coffee is a "un café allongé", it tastes a bit weaker than the black coffee you may be used to, and is essentially espresso with an extra amount of water. If you wish to have milk in your coffee, you can order a "café au lait". Also fun fact, only during the morning is your coffee (milky coffee is common with breakfast) supposed to be eaten with food! After the morning, if you order a coffee, it will usually come after you have finished your meal. 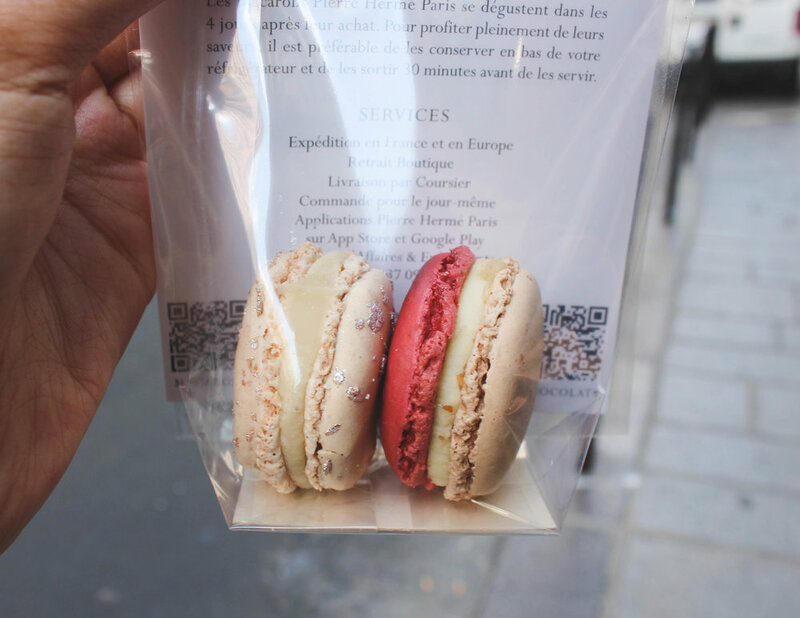 Tip #6: Walk around Le Marais District! It was one of my favorite areas to just wander, eat, and explore. It's an area rich with history as well please go! Tip #7: While in the underground metro stations, look up and around. Some of my unexpected favorite art pieces were scattered all over the underground metro stations. These included many tiled and mosaic designs, murals, etc. There are also plenty of performers in and around, so shoot them a smile and enjoy!